After being told that I most likely had cancer, I called my husband and let him know the news. He was expecting the same thing as me…just going for a routine appointment and will hear back in a few days. I wish in hindsight that I had brought him with me for support but I never thought in a million years I would be hearing anything that day, especially that I might have cancer. My husband was devastated and wanted to be by my side. We were both in disbelief that this was happening. I still had to return to the office to grab my things and wanted desperately to keep my composure until I got home. Back at the office, I pulled my boss aside to let her know the news I just heard. 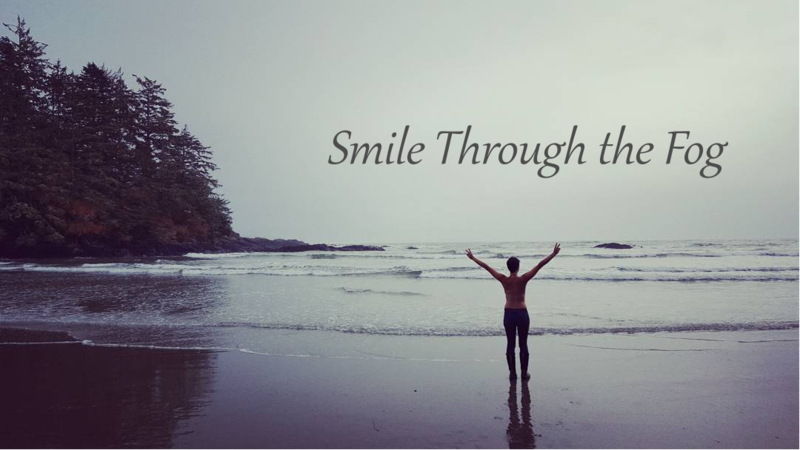 She had been through a diagnosis of cancer with her daughter in the past and was familiar with what was going to be a long, difficult journey ahead. I explained to her that part of me didn’t know whether to tell others yet, especially my family, because I didn’t want to upset anyone unnecessarily when I didn’t even know for sure if it was in fact cancer. 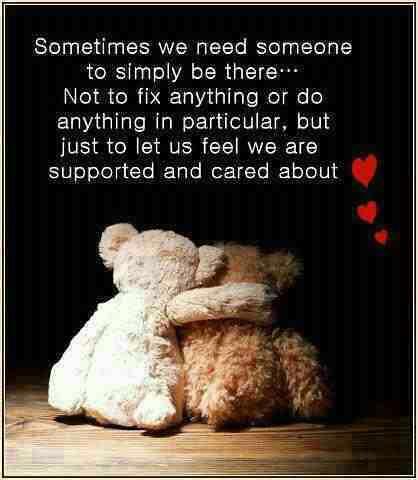 She said that I needed all the support I could get as they would be the ones to help me get through the tough times. I needed to look after me, put myself first, and stop worrying about others. And she was right. I had plans after work that same day to go out with my friends for wings and music trivia as a late birthday celebration and decided to still go out as I needed to keep my mind somewhat sane instead of wallowing in the shock of the news I just heard. My best friend was out with me that night and was talking about our upcoming trip to Vegas and how much fun it would be. I felt guilty knowing that I held this secret and that I may not be able to go anymore. At the end of our night when I dropped her off at home, I found the courage to tell her what had just happened. I didn’t want to wait any longer and I needed to reach out to someone. It was hard though telling someone so close to me about something so unknown, so unfathomable. It was hard to say everything was going to be okay when I didn’t even know myself. The next morning, I called my mom and let her know that I needed to come by to talk to her about something. I was shaking on the drive to my parents’ house and playing out in my mind what I was going to say to them. When I got there, I had my parents and my sister sit down at the table with me and I was practically hyperventilating and shaking even harder trying to fumble through the first few words. I found a lump…I had some tests done…It’s highly likely it’s cancerous…I will need surgery. I think one of my biggest fears was that my family would break down and it would tear my own walls down with it. I was trying to keep my composure, to stay strong. And they stood strong with me. They hugged me and told me everything was going to be okay and I felt a huge sense of relief after telling them. And when I told my brothers a few days later, I felt the same relief and their protection over me. They helped assure me that everything was going to be okay and that I was going to beat this thing. And I believed them. When I returned to work the following Monday, I contacted two of my colleagues who had both been through breast cancer in the past and beat it. I wanted to talk to them as they would know more than anyone what I was going through and what I was up against. How long did I have to wait until I seen a surgeon, the oncologist? What treatment would I be getting? The waiting and the unknown was the worst! I just wanted answers! I’ve always been a bit of a private person but going through this experience made me vulnerable and I needed all the support I could get. I began sharing the news with the rest of my friends and coworkers over the next couple weeks and it felt like the burden of it all was lifted off me more and more. The outpouring of love and support I received from everyone made me stronger and realize I could do this. In the following weeks, I came home to a little gift bag on my doorstep with a moonstone necklace (a stone representing inner growth and strength) and a poster that read “Today is going to be a good day”. There’s not a day that goes by that I don’t look at that as a simple reminder to myself. 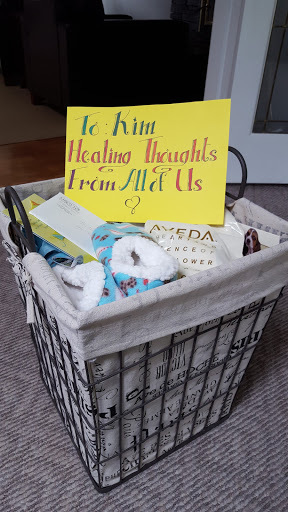 My coworkers also overwhelmed me with a basket full of books, bath products, gift certificates, and puzzles to help get me through the long road of treatment and recovery ahead. I was beyond grateful to have such amazing friends, family and coworkers in my life. Hi Kim! I was recently diagnosed with stage II inavasive ductal carcinoma (grade 3, positive for HER2, negative for Estrogen and Prog. receptors). I came across your story on Instagram. You are beautiful and so strong. Do you mind me asking exactly what type of cancer you had? I guess I'm looking for a little bit of hope. 🙂 Thank you!! !